Notice to Feed Readers: Google was having some problems with my feed. Here's a link to the new one. 24 hour comic day 2010 is here. 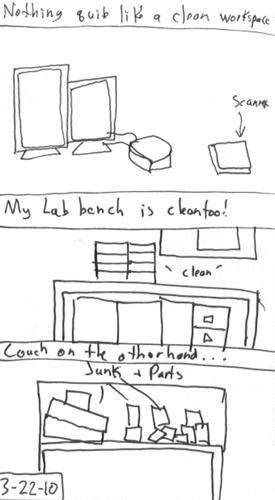 I don't really clean, I just move messes. If I'm lucky they get smaller as they move, but they always come back.